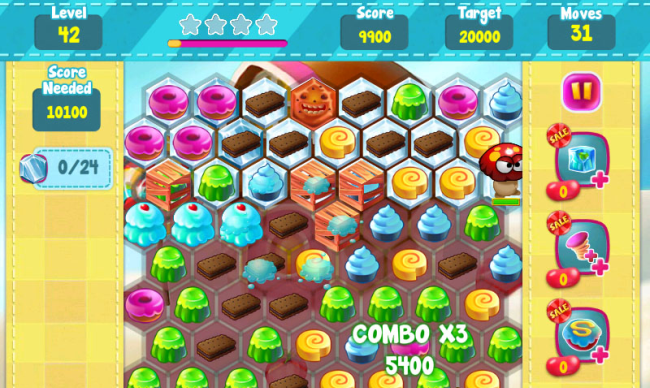 If you have a sweet tooth, playing King’s mega-match-three games can make you still more addictive to them, as they are all set to entice you with their sweetly planned game with delightfully colourful themes. This time in Sugar Tales you have to break the habit of picking up candies with still more delicious looking cakes. Even the cells are also changed in shape from square to hexagonal ones where you have to click on a category of static icons adjacent to each other and complete the task of the traditional match- three games. But to your utter surprise there will be a cute monster with googly eyes in the lot to interfere and bother you sometimes with his ever hungry disposition. The only thing which can push you ahead is keeping this lovely monster happy and full by constantly dishing him with cakes. But don’t you worry. He is a mobile and active monster, so you can move him around the board and fill his tummy. If there are more than three similar types of cakes lying together he will gulp them all at once. Now get ready to pursue your own goal of soaring up your scoreboard. You are supposed to be making up a certain number of points within a restrictive amount of movements. But that will be only an initial task after which you have to be prepared to clean up the mess by removing crates, ice and chocolate chip cookies who won’t look very happy when you do so. For your power up you only have to match a larger number of categories consisting of icons from the same group. To achieve an explosive effect you need to look out for the croissants and rainbow “super cakes”. The more you can do so, you would be closer to the winning point. Once you have matched a series of cakes, they won’t be visible on the board any more. This way they will make way for the next ones to drop down in the bottom ready for being selected and matched. 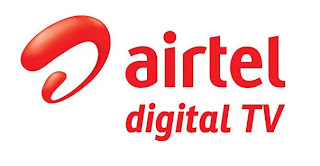 This action of cascading will certainly make a huge benefit for you as they will be acting as the combo multipliers and would be adding up matches for you. Till you are within the twenty three levels the game would be progressing on a rhythmic speed. But that is how the Sugar Tale is super deceptive. Once you cross that level, the challenges will grow beyond expectations and you would be struggling with time where there the mushroom monsters will create havoc for you. You won’t be left with any other choice of activities other than keep yourself overcoming the hurdles that they will keep creating for you. The only escape route for you from them is to take them out by just going up to them and make multiple matches as fast as you can. 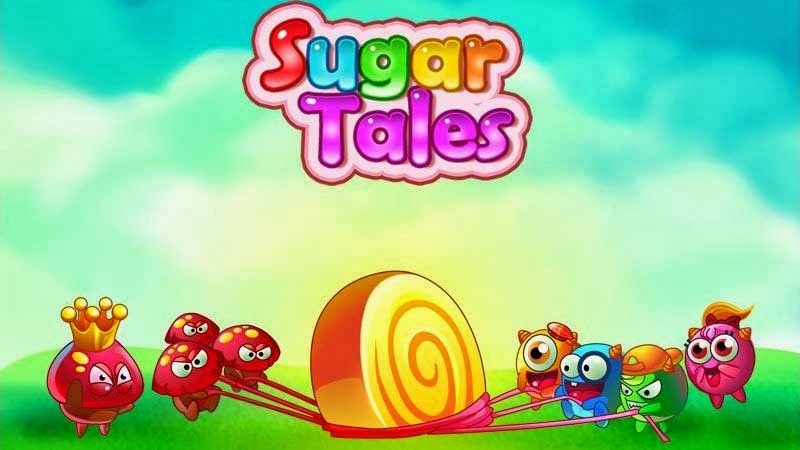 Sugar Tales might not appear smarter than Candy Crush but definitely it has its own sets of fun and spirit. There are additional challenges and different modes of appearance than the general match-three games. Abrupt change of pace in the game challenges.